If you know somebody who'd like to read this newsletter, please email them details here. November, December and January are the months that are packed with the harvest of berryfruit from the early Gooseberries to brambles dripping with sweet succulent fruit. I have dedicated this newsletter to berryfruit to help you with this most nutritious fruit through the summer giving you plenty of time for the beach, bar-be-ques and enjoy time with family and friends. All easy to grow and provide us with fruits loaded with antioxidants which help protect our bodies from the nasties of this world. All of these can be grown nation wide. Some like the gooseberries do perform better in the cooler climates with a colder winter but they will still fruit in Auckland. Strawberries can be grown in a strawberry patch, troughs or planter bags. Planter bags are very clean and easy. I have planted my strawberries in these - four plants per bag and built a very simple structure over the top to keep the birds off. The fruit stays clean and having it raised up makes for very easy picking for tall people! 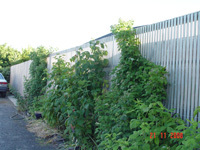 Raspberries and Brambles (Hybridberries, Boysenberries, Blackberries & Loganberries) can be grown against a fence with the help of wires for support or within a post and wire structure. Plant raspberries 800mm apart and brambles 2.5m apart. But for those who do not have a garden or a very small garden space, plant these berryfruit in a wine barrel with a berry frame. 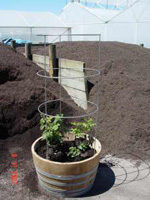 Place your barrel or large pot in a sunny, sheltered location. Remember the barrel will be heavy so plan ahead for the right position. Secure your wire frame inside the barrel or pot as shown. A variety of supports can be used. The frame shown is made for incredible edibles®. 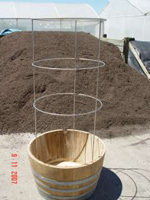 Once you add the potting mix the wire structure should stay nicely in place. Fill to around 15cm from the top of the pot with your potting mix, ensuring you choose a top quality mix e.g. Daltons Garden Mix. Thornless Jewel™: New thornless delicious sweet boysenberry fruit. Loganberry: A sweet intriguing cross with soft red sweet fruit, also thornless. Blackberry ‘Black Satin': The traditional blackberry flavour on a plant with no thorns. Boysenberry Brulee: Semi thornless variety producing heavy crops of large berries of excellent flavour. 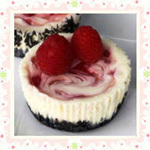 Berry Delight™: Thornless boysenberry/loganberry cross, mouth watering flavour. Waiau: Very large fruit in summer with good flavour & firmness. Remove from their pots and place your three berries, one per ‘leg' of your support as shown and wind the stems up and around the support. Top up your mix to level with the soil surface of your plants. Water thoroughly, i.e. until water runs freely from the bottom of the barrel. 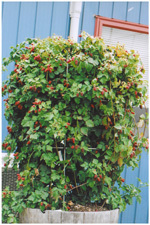 Dress the surface of your berry barrel with your bark mulch to protect the shallow roots of the berry plants and retain moisture. Delicious harvested berries can be used in fruit salads, to cover a decadent Pavlova, a cheesecake, or simply serve fresh with cream for an easy vitamin-packed dessert. Regional suitability: This project can be grown from Kaitaia to Bluff. 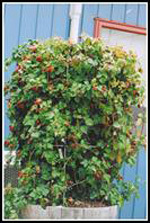 Currants and gooseberries can be grown as stand alone specimens or as edible hedges. Orangeberry is an excellent ground cover especially for unsightly clay banks. Have a blackberry or raspberry planted close by for pollination. Remove fruited canes in autumn in humid areas to encourage air movement and prevent diseases. Alternatively in cooler dryer areas leave until winter. Alternatively in cooler dryer areas remove fruited canes until winter. We have 2 Berry Delight plants, 2 yrs old and growing well. The berries started off well but now they seem to be shrivelling up. Can you advise us of the reasons this could be happening. The plants are grown in Christchurch loam in the ground sheltered from the prevailing easterly wind. The soil is dry, however they have been watered. 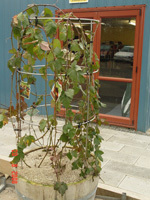 The plants are two years old, fertilised with citrus fertiliser. I sprayed them yesterday with Neem oil. It looks like your plant has Dryberry so you need to spray a fungicide. Neem oil is a natural pesticide so it will have no affect on fungi. With the fungicide check on the label as there will be a withholding period that you will not be able to eat the fruit. Dry berry likes warm humid conditions. Should look at applying a fungicide next year as a preventive spray to assist fruiting. But presently you do need to save your plant. Can you tell me please what can I do in future to protect my boysenberries (thornless) from the 'worm' that has got inside nearly every fruit this year? I went to spray them earlier in the season but they were all in flower so didn't because of the bees. When and what do we do please? Spray in September and October when the boysenberry is in flower. Spray early morning or late afternoon to avoid the bees. There are two sprays available at your local garden centre Mavrik and Success Naturalyte. These are contact sprays so good coverage is required. Follow the instructions on the label. Spray now but check the label and use the longest withholding period. This might help with the fruit developing now. Both these sprays I am told are listed for caterpillar but should work for fruit worm. Small orange spots occur on the Raspberry plant leaves within the first few days of purchasing. The leaves are starting to die off. I am a bit disappointed as the plant is not cheap and I wanted to buy several more. I have now had it confirmed that it is rust and can be sprayed with Bravo twice with 10 days between. Your plant should then motor away and have no adverse affects. All berry fruit have strong colours - red, purples and black. These colourful fruit provide us with antioxidants (cellular police force that control the free radicals - oxygen molecules) as well as providing us with fibre, vitamins and minerals they also provide phytochemicals that fight diseases. Join the craze/trend/movement grow your own so you can self indulge and graze on these delicious healthy fruits from your garden. Melt butter and mix with biscuit crumbs. Press into greased base & sides of a 20cm pie dish. Chill. Beat cream cheese until smooth with lemon juice, rind, icing sugar and 3 tbsp berryfruit (leave some for decoration) and mix well. Whip cream and fold into mixture. Pour into crumb base. Chill thoroughly. 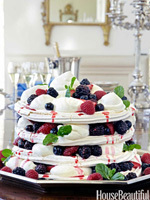 Decorate with remaining berryfruit just before serving. incredible edibles® is opening its doors to offer guided group tours of its extensive stock gardens. Contact me today to make your booking to visit the incredible edibles® Garden in sunny Bay of Plenty. Click here for booking form and/or request for more information. This eBrief is sent to you in the interests of promoting the fantastic range of fruits that we've gathered and providing you with early notification of new incredible edibles® releases and product information. If you'd like to comment on its contents or our range please email us. If you wish us to stop sending you early notification of new incredible edibles® releases and product information, simply email info@edible.co.nz with "unsubscribe" in the subject line. ©2013 Tharfield Nursery. Pictures & information provided as a guide only.